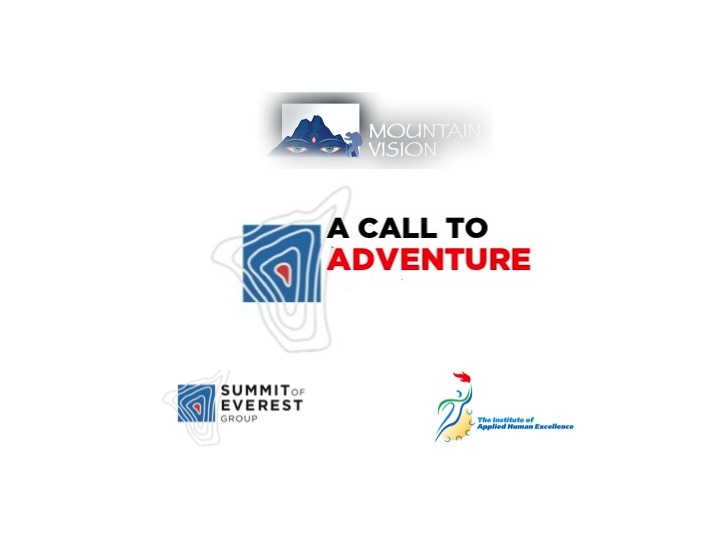 A Call to Adventure is a a partnership between Summit of Everest Group, Mountain Vision, and The Institute of Applied Human Excellence. These organizations bring the unique perspective of the outdoor adventure setting to the exploration of human performance and excellence. Venues such as the Colorado Rockies, African mountains, and the Himalayas provide this unique venue. We organize our time together to provide a variety of personal, interpersonal, and team-based experiences and challenges. The mountains will be our classroom and our office for the days to explore your individual leadership development goals. While there are many standard themes that emerge through each of our leadership adventures, each adventure is based upon the specific needs, goals and objectives of the individual participants—giving us the collective personality and make-up of the group. The process of getting to know you better, and more specifically, identifying the core leadership principles and themes that are most important to you, begins with your selection of an Expedition, Registration, and then completion of an Intake Form. Once complete, our curriculum team will tailor the Expedition to the needs of the group, ensuring a successful outcome.